I have been married for fifteen GLORIOUS years. My spouse, like most husbands, does not especially enjoy honey do lists. 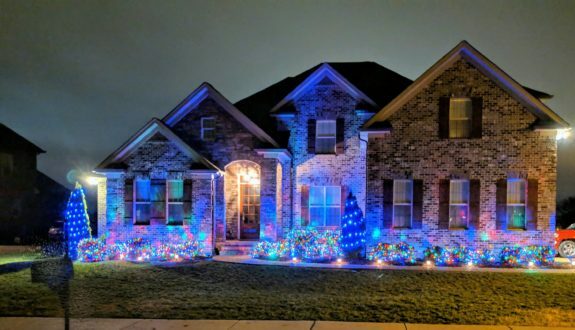 For years I have talked about outdoor holiday lighting. I see to the indoor decorations but outside stays mostly unimpressive. We live in a neighborhood where many families let their Christmas cheer spill over into their yards. I love driving through the streets at night and beholding the wonderment of every lit up home. We walked up and down the aisles. He zeroed in on the net style lights. These are the simplest form of lighting. There is no wrapping or circling of vegetation involved. One just drops the multicolored bulb filled nets over each bush. That sounded easy enough. Then there were the trees. They were too tall for nets. But WOW look at those mesmerizing strands of blue lights conveniently placed beside the net lights. Those would finish the job. Next stop: project day. I was taking care of things in the house so hubs headed outside. He recruited our three sons as helpers. That would later prove to be a questionable decision. You see, my husband has Attention Deficit Disorder or ADD. 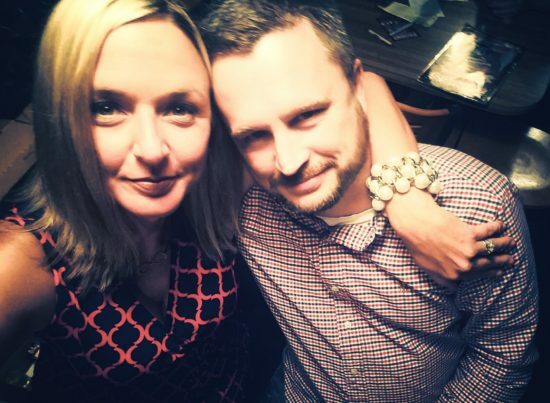 He wasn’t actually ever diagnosed by anyone in the medical profession but after being a wife and mother for fifteen years, I practically have a medical degree. Staying on task is not his strong suit. Especially when distracted by three kids and otherwise disinterested in the project as a whole. But he was willing to give it the old college try. I peeked out of the window only to see the boys sitting on the porch and my husband involved in a wrestling match with a tangled ball of wire. A match that he appeared to be losing. The next peek I saw the ball of wire on the ground and him talking to a neighbor. Hubby is always up for chit-chat. Especially chit-chat that keeps him from his honey do list. First order of business, I sent the boys back inside the house. They were clearly not helping but rather distracting my easily distractable husband. Teamwork would seal this deal. I wrapped lights around trees while also encouraging Hubs to stay on task. He didn’t mind my direction one bit. He just wanted the task completed. He even ran back to Lowe’s for more extension cords and timers. I had heard of a product Light Keeper Pro which was supposed to magically fix deadbeat bulbs. My wonderful husband made yet another trip to Lowe’s to secure one. At my final request on his Christmas 2018 Honey Do List to get the lights burning again, he agreed. But only if I would go away. Like, far away. Once cooler heads prevailed, he had a chance to reflect on his rash decision. 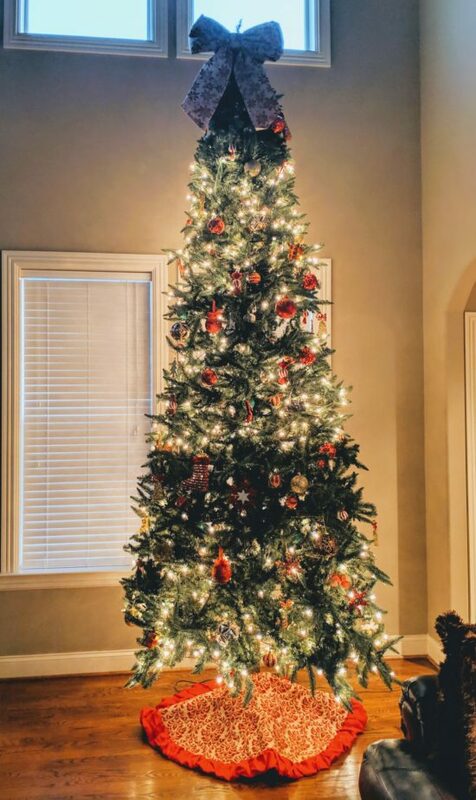 He agreed that maybe 27 days before Christmas was not the time to banish a 75% lit, twelve ft tree. He went back to the road and drug it back inside. When the tree was reassembled it was then MY honey do list to figure out how to mask the trees shortcomings. I decided to buy more bulbs! And one gigantic bow for the top.